GR11. Stage 42: Albanyà - La Vajol. Stage 42: Albanyà - Maçanet de Cabrenys - La Vajol. Difficulty: no technical difficulties except for the distance and the accumulated elevation. Water: at the Seglar refuge there is tap water of dubious origin. 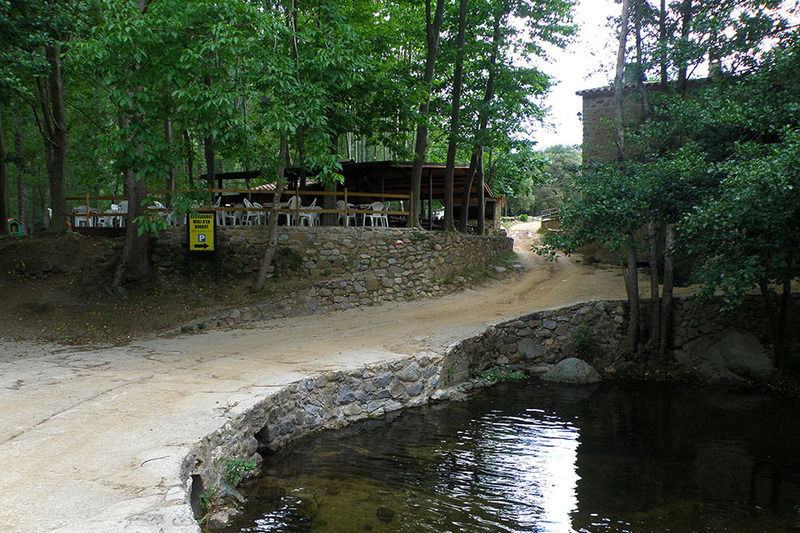 Otherwise, the first place to fill up with water will be the bar in Molí d'en Robert (4h15min). From this point on, unless the drinking fountains have dried up, there should be no problem – you will find a couple of drinking fountains between Maçanet and La Vajol. 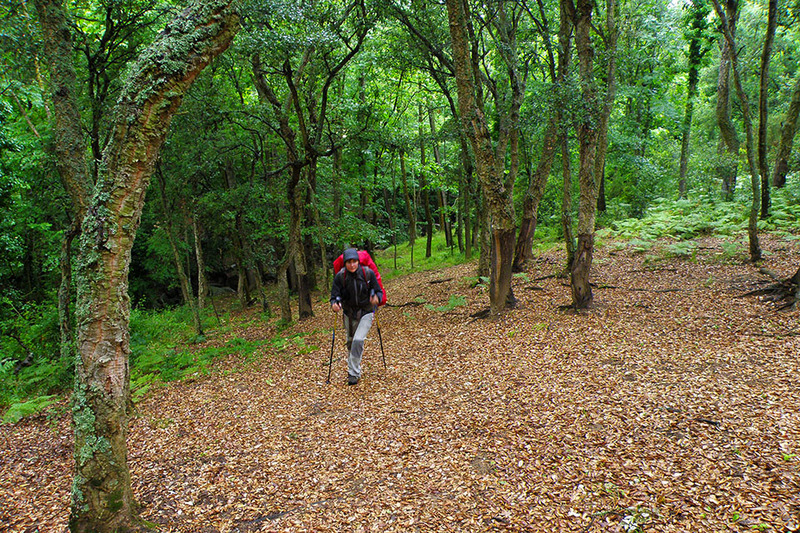 (2h15min; 6,9 kms) La Trilla (687m). There is a house that looks to be closed, and the one behind it is in ruins. 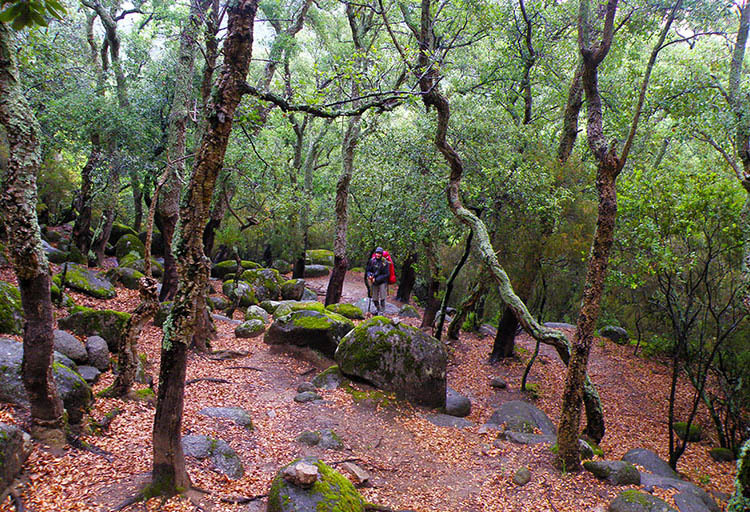 Leave the track for a path that heads into the forest, past a col, then head downhill until you join a track at the Collada de la Capella (521m). Follow it left, then after just 100m, take a path on the right. Follow the path for another 100m, then take a path on the left that heads into dense woodland at the bottom of a little valley. You eventually come to a wider path. 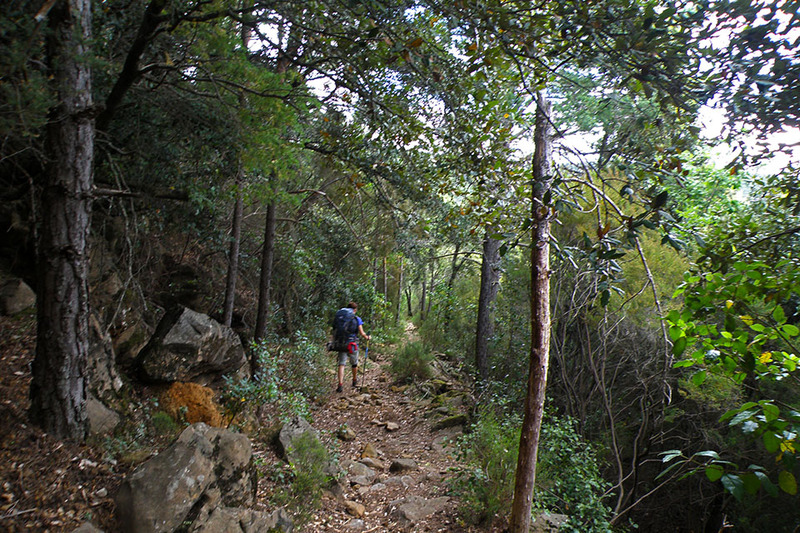 Be particularly careful at this point to take, soon afterwards, a path on the left that climbs in search of the track you left previously, and takes you straight to the Chapel of Sant Andreu de Oliveda. (4h15min; 14,4 kms) Molí d'en Robert (227m). Bar and swimming pools. Soon afterwards, you leave the track heading to Maçanet and take a path on the left that ascends rapidly and shortens the route by a couple of kilometres. You come to a path, and then the track that takes you straight to Maçanet. 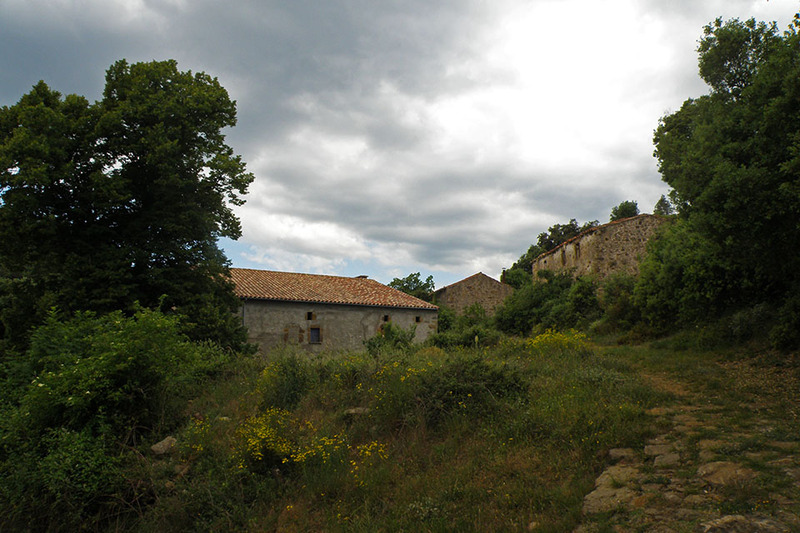 You pass an area dotted with villas and head towards the village in search of the road (GI-503) that comes from Figueres. 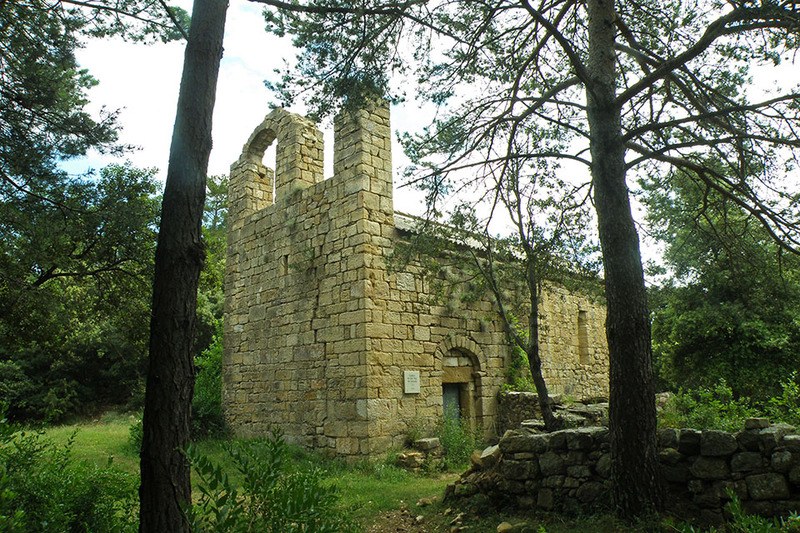 (5h00min; 17,5 kms) Maçanet de Cabrenys (348m). 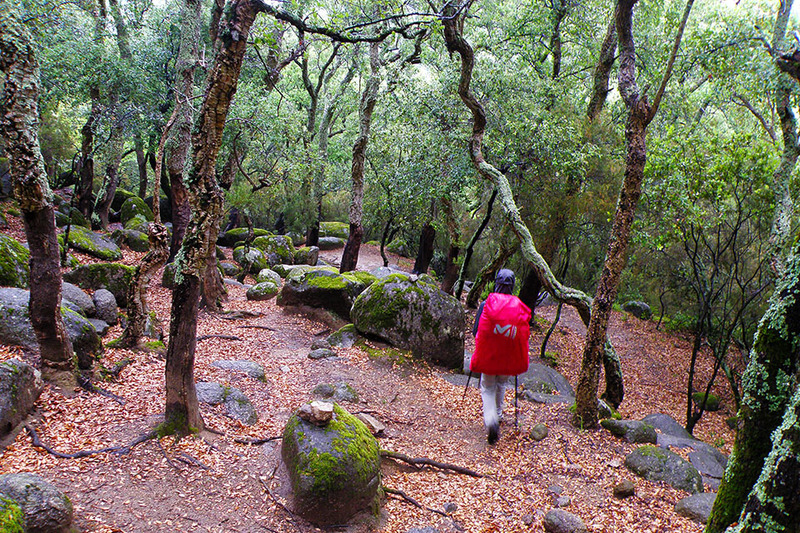 Follow the Figueres road for 0.5kms until you come to a track on the left that enters into a small rocky area amid beautiful cork oak woodland. Font del Carme drinking fountain. 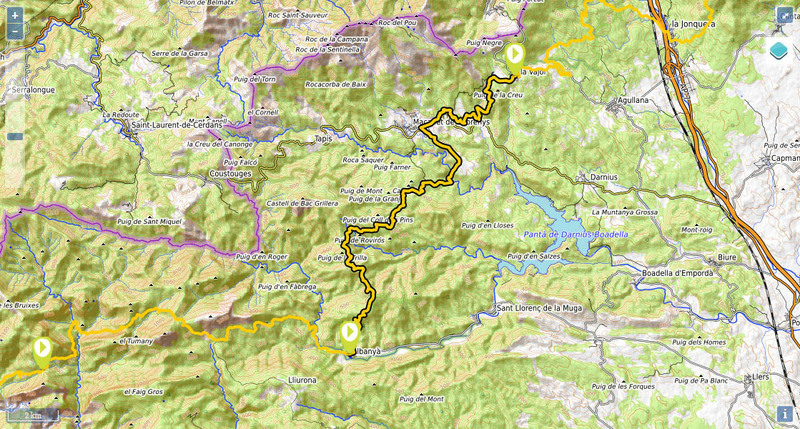 You soon come to the road that goes to La Vajol, which you follow for just 100m. The GR11 has been modified at this point to avoid the road, and the new route, although much prettier, is also quite a bit longer. The path heads into the woods, passing a succession of crossings and continuously changing direction, but fortunately the waymarking is good. You will find another drinking fountain along this stretch. 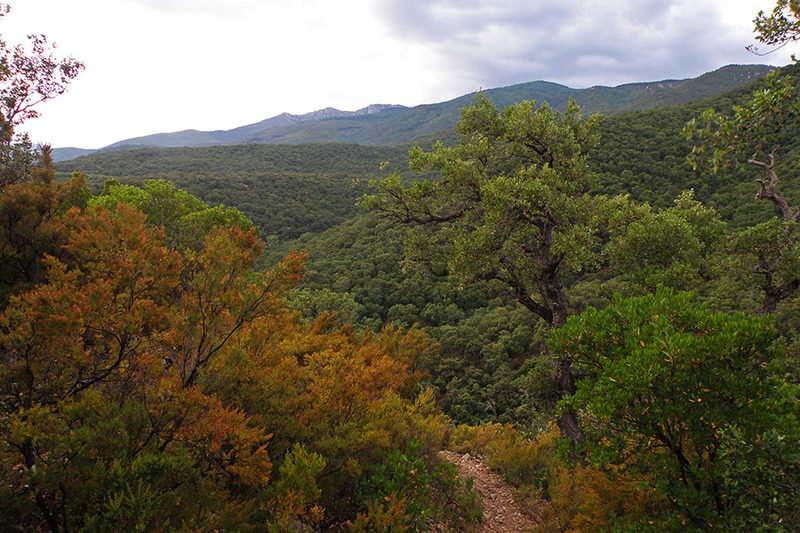 You rejoin the road from Maçanet to La Jonquera/Figueres. (6h00min; 21,2 kms) Pont del Grau (258m). Cross the road bridge over the Riera del Mas Castells and finally take on the climb to La Vajol. The path ascends quickly and it is not long before you gain height. In this area, there are a number of abandoned Talcum mines. One of them, la Mina Canta or d'en Negrin, which you pass, went down in history when, just as the Civil War broke out, Joan Negrin (the president of the government between 1937 and 1939) sent a batch of paintings here from the Prado Museum, as well as a treasure worth 50 0million dollars. Shortly after passing the mine you come out at the road to La Vajol, which you follow right. 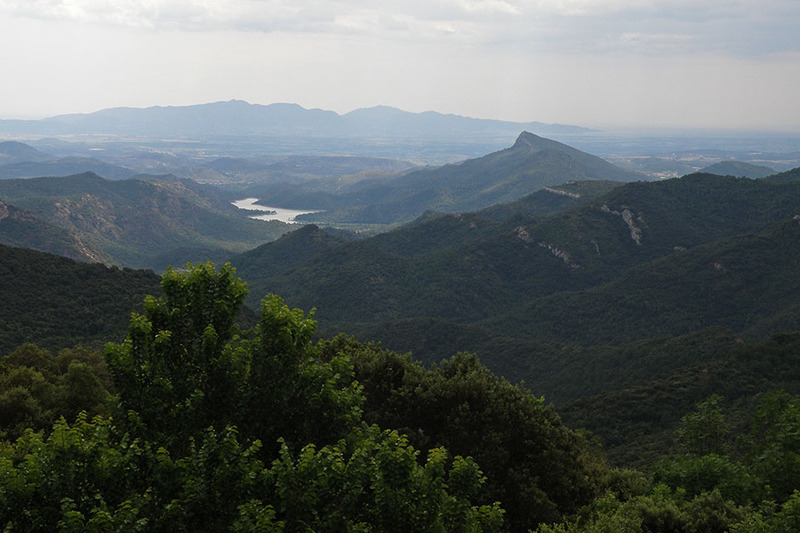 At the beginning of the stage, 1km before Albanyà: Camping Bassegoda Park. In Albanyà (centre): Albergue La Rectoría d'Albanyà. In Maçanet de Cabrenys there is a wide choice of accommodation catering for all types of budget. Among others: Hotel Els Caçadors , Hotel La Quadra or Habitatges Turistics Les Tranquiles. At the end of the stage, at the entrance to La Vajol, Ca la Conxita	(//) has rooms, a shop and offers bar/restaurant service. In Albanyà, there is a small supermarket at the campsite and a grocery store in the village. In Maçanet de Cabrenys you will find practically everything you need: a supermarket, a bread shop, a chemist’s or an ATM among others.